This simulation is working for the plots of the lattice. But as I try computing the terms $\langle E \rangle$ and $\langle E \rangle^2$ and using them to compute $C_v$ the result is not what I am expecting. The sum over $E_t$ is what i thought i was doing with the e1 and e2 in the code. As i repeat the simulation for several temperatures and then use the values to calculate $C_v$ the result is not the heat capacity. This is not the expected plot for $C_v$. There should be a peak at around 2.3. Could anybody help me to calculate the real $C_v$ because I can't find the mistake. I'm very thankful for any help! Unfortunately I am not a Mathematica whiz. and in general do not encourage the use of Mathematica for extensive numerical simulations like Ising model or the likes. So I will post some answers pertaining to C++ and the general equations. where in the first equation $<i,j>$ indicates summation over nearest-neighbours, what has been split in the second one into a sum over $i$ and for each $i$ a sum over its nearest neighbours. 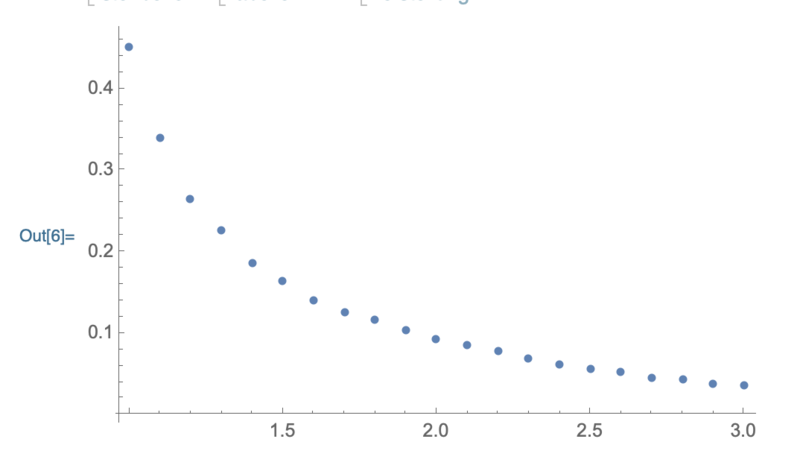 $N$ is the total number of sites ($=n^2$ for a square grid of $n$ cells in each direction). Also I'm pretty sure you are not supposed to average over multiple iterations when you are computing the observables (also:Label your axes!). Not the answer you're looking for? Browse other questions tagged computational-physics mathematica or ask your own question. Is this the correct way to calculate the Madelung constant?